The King of Country music is back, bigger and better than ever before. George Strait took award show viewers to a whole new level with his closing of the 2019 Academy of Country Music Awards with his latest hit, “Every Little Honky Tonk Bar.” The ACM awards show was held in Las Vegas, Nevada, on Sunday, April 7, 2019, and featured the latest hit performances by the biggest stars in the country music industry. Saving the best for last, Strait sang the new single off his latest CD with a backdrop of screens featuring Austin’s Broken Spoke honky-tonk and the lights of Las Vegas. It marked the first time in four years that he performed at the event. The song was originally released as a single before Valentine’s Day 2019. Strait himself co-wrote the hit song with his son Bubba and Dean Dillon, and it’s now the lead single from his 30th studio album, entitled “Honky Tonk Time Machine.” The album cover features none other than the Broken Spoke, which is the Texas Hill Country honky tonk in which Strait got his start. And it was everything every country music fan wanted to see at the close of the ACM awards. The official lyric video for “Every Little Honky Tonk Bar” was released on the George Strait YouTube channel on February 20, 2019, and has since been listened to by close to 1 million viewers. 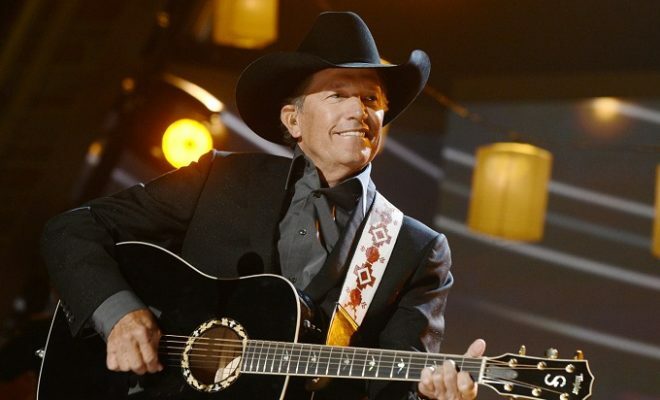 For the 2019 ACM awards, Strait also performed “God and Country Music,” as well as a duet with Miranda Lambert for the song “Run.” This Texas superstar wasn’t nominated over the course of the night. However, that didn’t stop him from practically stealing the show. He honored Jason Aldean by presenting him with the Artist of the Decade award, who later said that Strait was one of his inspirations. Las Vegas is no new ground for George, who kicked off an ongoing residency there in 2016. His most recent dates added to the itinerary can be found at the link available here. ← Previous Story The Houston Ballet’s Nutcracker Market Spring Spectacular is Here!